With a letter by Mr. Michael Luyckx, the nephew of Elaine de Kooning who was the executor of the Estate of Elaine de Kooning, confirming that the work was sold directly by the Estate. This work was created in preparation for de Kooning’s first solo exhibition at the Charles Egan Gallery in New York in 1948, which established his reputation in the New York art scene virtually overnight. Clement Greenberg discovered him there, describing him in ‘The Nation’ as “one of the four or five most important painters in the country”. The paintings de Kooning showed at the exhibition verged on abstraction, consisting of black and white biomorphic forms. 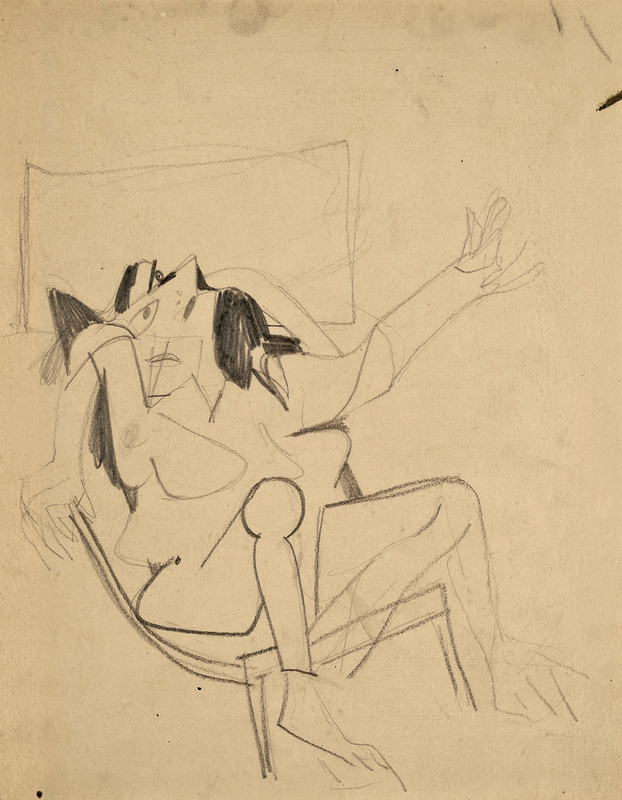 If those works are compared to “Study for Seated Woman”, it becomes clear that the idea of ‘woman’, although depicted in an almost unrecognizably fragmented form, was already the subject of those early de Kooning paintings.